17-year-old Moshe Fuerst left with horrific head injuries after attack, which occurred same week as figures showed spike in hate crimes. Two youths have been arrested by police in Manchester, England, in connection with a brutal, anti-Semitic assault against a group of young Jews which left one victim seriously injured. 17-year-old Moshe Fuerst was knocked unconscious in the attack, which also left three others lightly injured. The suspects' identities have not yet been released. He was hospitalized and placed in a medical coma to allow doctors to operate on his horrific injuries, including a fractured skull and a bleed on the brain. The attack triggered an outcry among British officials and Jewish community leaders alike, including Parliamentary Under Secretary of State for Communities and Local Government in Britain Susan Williams, who on Monday evening issued a stern condemnation. Police are treating the incident as a hate crime given the anti-Semitic abuse and level of violence used in the unprovoked attack at a Manchester train station last Saturday night. 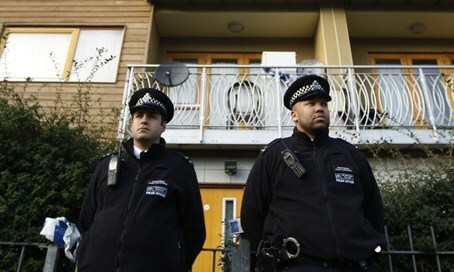 The attack came on the same week figures showed an alarming surge in hate crimes in London, including an near-doubling of the number of anti-Semitic crimes recorded over the 12 months up to July, compared with the previous period. The victim's family are asking for prayers for the recovery of Moshe ben Sharon.